Check out our cheap cabins near Gatlinburg, Tennessee with hot tubs just minutes from area attractions, outlet malls and more. 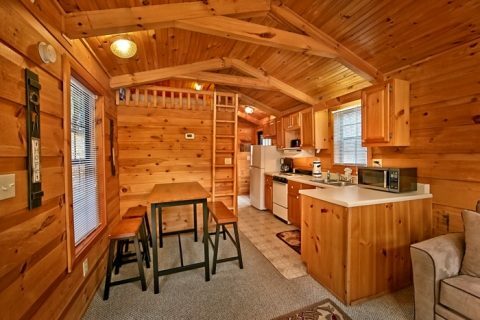 There's no reason to put off your family vacation or honeymoon to the Tennessee Smoky Mountains when you can save even more when you book our cabins near Gatlinburg. 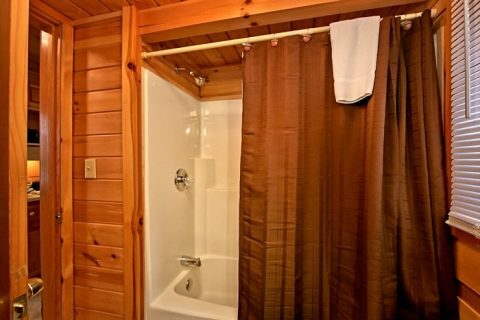 "Secret Rendezvous" is one of our cheap cabins near Gatlinburg. 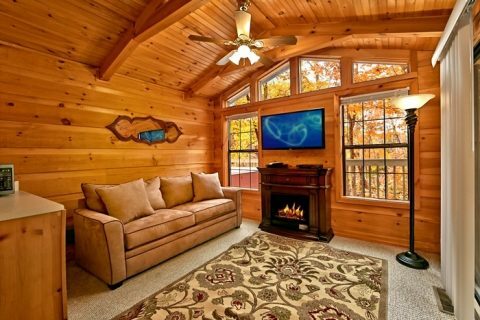 These inexpensive Tennessee cabins near Gatlinburg, TN let you enjoy the cabin life on your budget. Escape the noisy small hotel rooms without sacrificing a location that's minutes from Dollywood and other large area attractions. 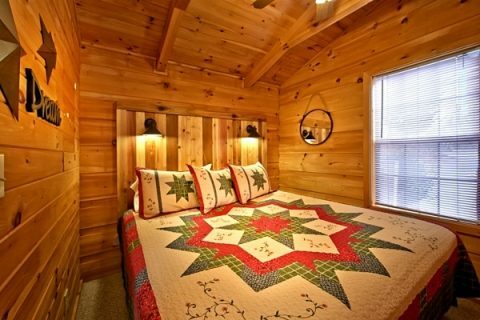 Your inexpensive cabin near Gatlinburg sleeps up to 4 guests and boasts elegant furnishings. Enjoy a great night's rest in the king size bedroom with flat screen television. 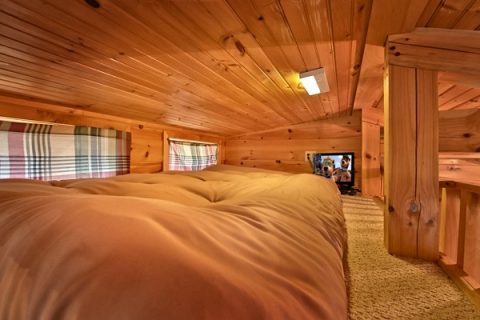 Kids will love the custom sleeping loft designed for them in mind with a small mattress and a personal television/DVD player. The living room has a new sleeper sofa where you can enjoy watching your favorite shows on the new 40-inch flat screen television just above the electric fireplace. 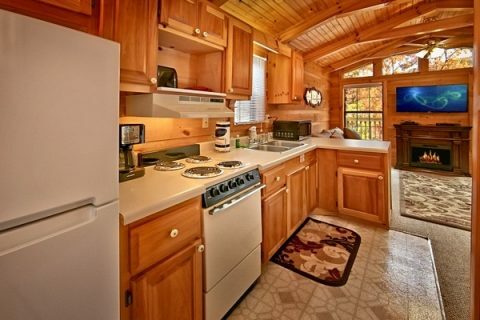 Keep food costs down and with meals and snacks prepared in your fully equipped kitchen or hot off your cabin's charcoal grill any time you want them. 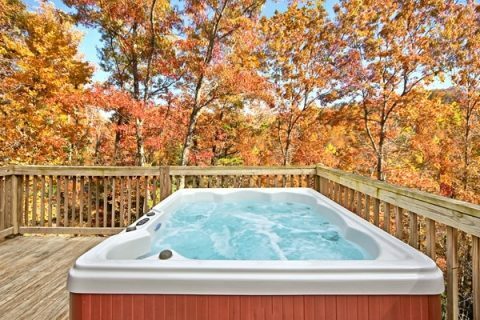 Your family is sure to enjoy the LED lighted hot tub and your cabin getaway's great location! 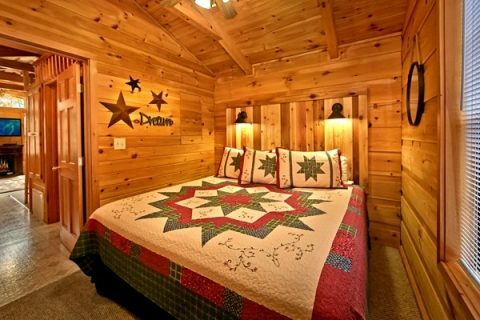 Your cabin lies just minutes from nearby Dollywood, Tanger Outlet Mall, NASCAR Speedpark, and many other Smoky Mountain area attractions. 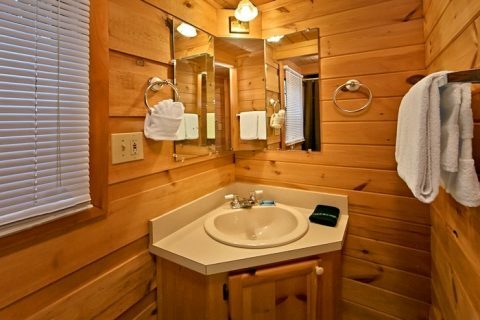 Planning a family reunion or wedding in the Smokies Gatlinburg area, "Secret Rendezvous" rests within walking distance of several of our other cheap cabins near Gatlinburg Tennessee. Take a look at "Enchanted Moment," "Where the Magic Happens," "Cloud 9," "A Long Kiss Goodnight," and "Wonderland." 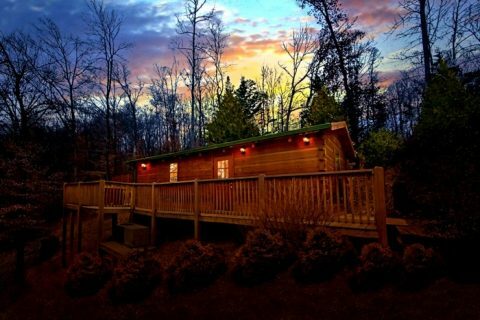 Book any of our cheap cabins near Gatlinburg online with Cabins USA Gatlinburg for an even better SAVINGS!